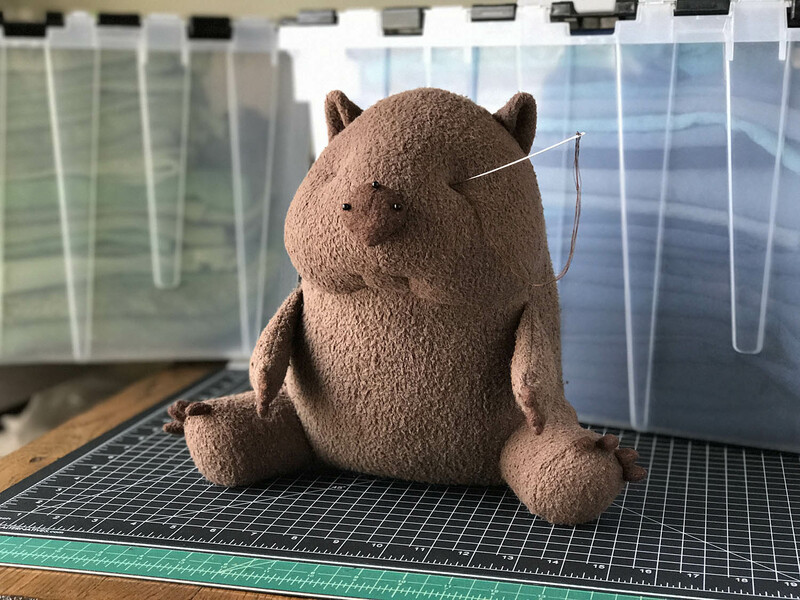 I’ve been working on a wombat plush off and on since early June, and I’m happy to say it’s finally completed. 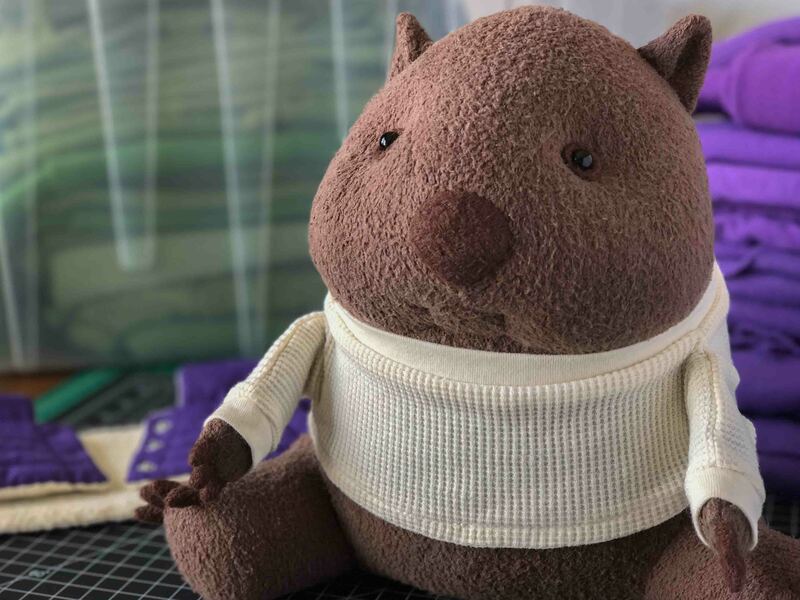 Meet Snubbers the Wombat! Like most wombats, Snubbers is solitary and will crawl into his burrow to avoid social interaction. You may be enticed by his cute, fuzzy face, but don’t expect him to reciprocate any displays of affection. If Snubbers encounters you while out foraging, he’ll dig a new burrow right where he is just to avoid talking to you. 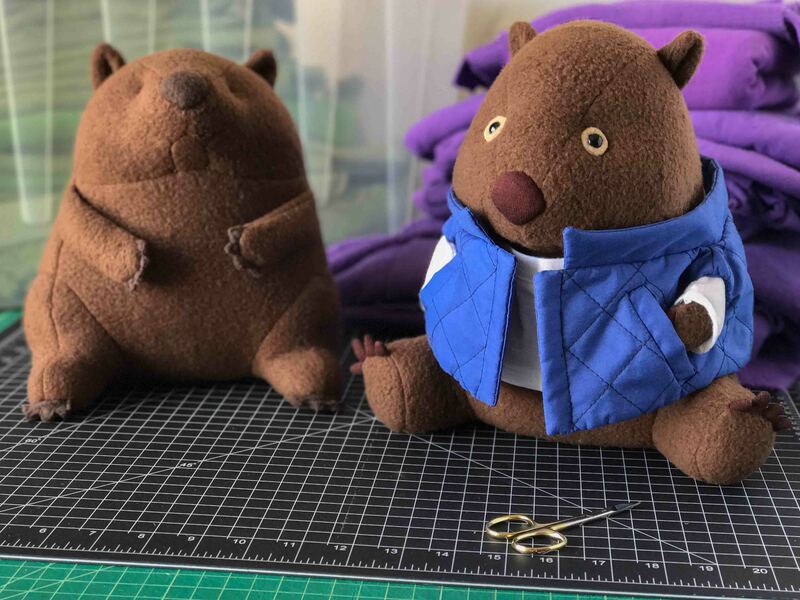 I made two wombat plush prototypes before moving onto the final Snubbers. The first wombat looks like it’s taking a nap standing up — not exactly what I was going for. I like the head and body of the second wombat, but the lighter fabric I used around the eyes gave it a bit of a spaced out look. Sewing the claws on Snubbers was a bit tedious. I had to baste, unstitch, readjust, and re-baste the claws about 4 times on each limb before they all were even. Needle sculpting Snubbers’s fat, little wombat cheeks. The organic fleece I used for Snubbers is the same product I’ve been ordering for the past three years, but this batch is considerably stretchier. 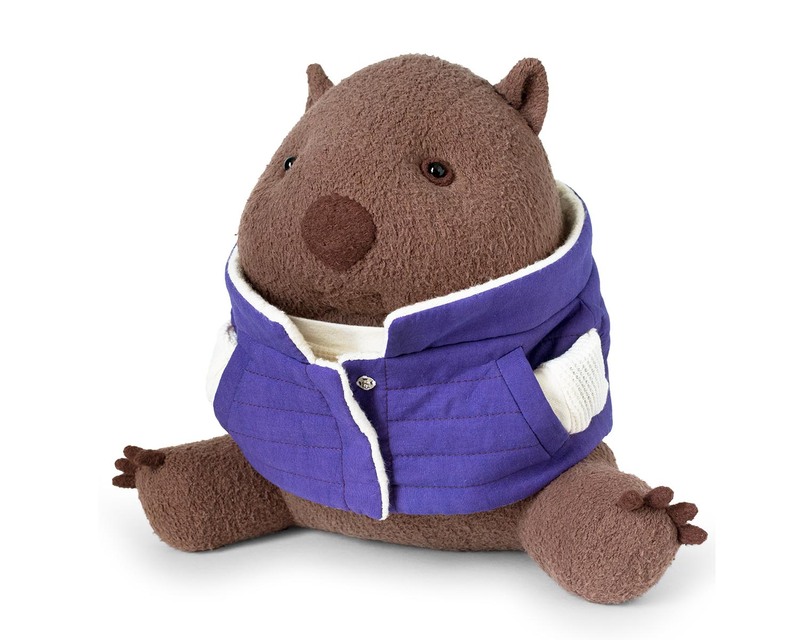 I considered redoing the pattern because the wombat is so much wider than I expected. While I do enjoy making plump animals, I actually had to set this one aside and stare at its fat head for a few days before I came around to liking it. 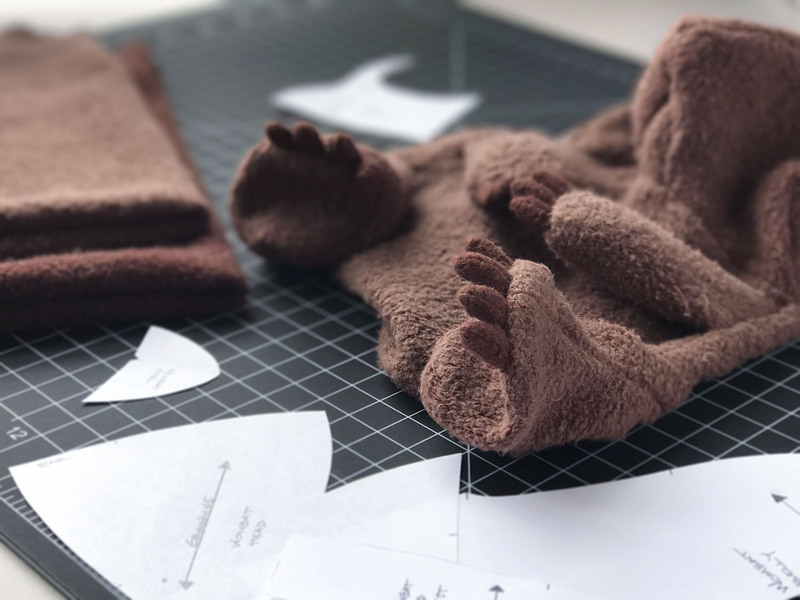 I plan my patterns to account for the stretch difference between the organic fabric I use for my final products and the poly fleece I use for prototypes, but I wasn’t prepared for how stretchy this batch was. 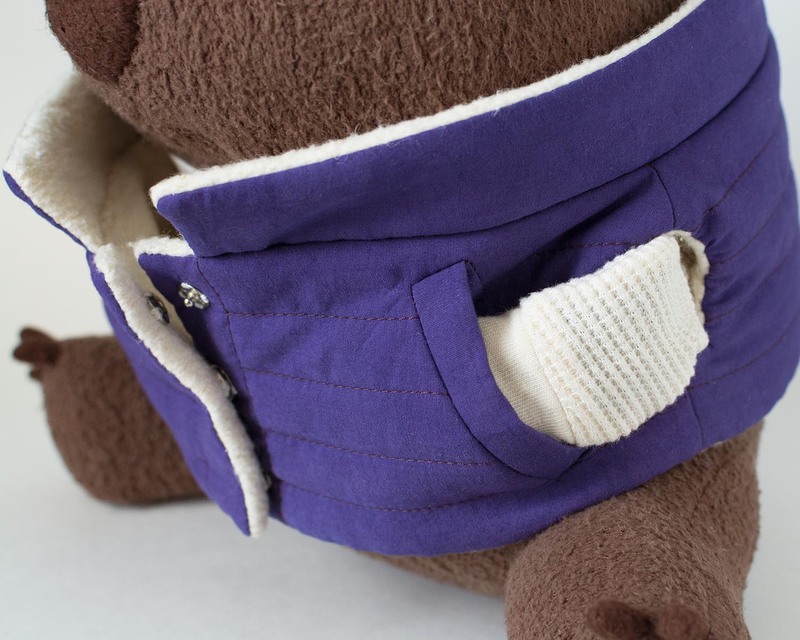 Inconsistency in materials is one of the main isssues I run into with making organic stuffed animals. It’s often difficult for small, organic fabric companies to maintain the same level of consistency as larger companies — primarily because they are working with natural instead of synthetic fibers, but they also often have less control over the fabric mills they use. Unfortunately, it’s not just the fabric that can be a headache. The variations with GOTS (Global Organic Textile Standard) approved dyes can be a challenge to deal with as well. I can’t count the number of times I’ve had to redye fabric because it didn’t turn out anywhere close to the right color. I’ve been using the exact shade of brown from the same company since 2014, but it’s never the same when I have to reorder it. I dyed the brown for this wombat three different times with dye from two different companies before achieving a chocolate-looking brown. I’ve been wanting to make a long sleeve thermal for one of my animals. I finally found this US-made thermal cotton fabric from Organic Cotton Plus, and I love it! 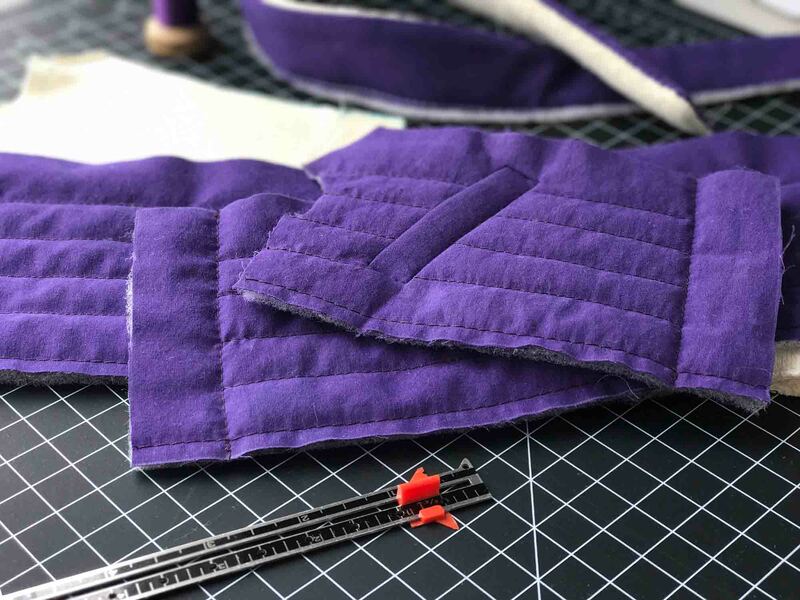 I liked the diamond-quilted fabric I made for the wombat prototype vest, but I didn’t think the diamond style paired well with the texture of the thermal fabric. I decided to go with quilted rows for the final vest, and I switched the lining to fleece. I was able to find batting made from recylced plastic bottles and some vintage snaps made in England for the vest, but I couldn’t find eco-friendly, ethically made interfacing for making the pockets. I was worried they would be wonky without the rigid structure of the interfacing, but they actually turned out well without it. Snubbers is now listed in my Etsy shop! I love this little guy! I noticed he’s not a pattern that’s available to buy (I can imagine the instructions would be hard to write). Thanks, Pam! Yes, I have only made some of my simpler designs into PDF patterns for that reason.